Herbs and spice have the main purpose to make our food taste good. 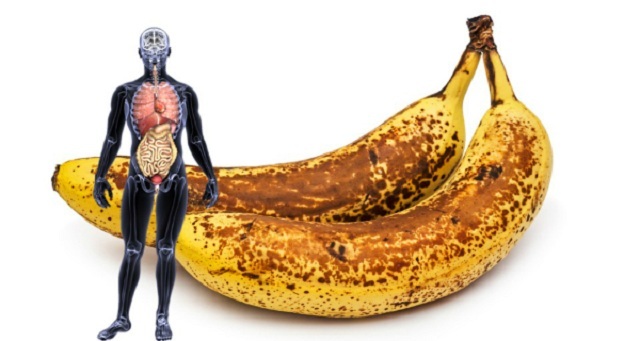 But, in addition to their ability to enhance the flavor of bland foods, most of them improve digestion, since their natural oils have a therapeutic effect on the digestive tract, and other vital organs in the body. Their strong antimicrobial potential gives them great application in drying, pickling, and other food preservation methods. Spices are often combined with herbs, at least when it comes to cooking. ‘Herb’ refers to the leaves and young stems of herbaceous plants. Even though many herbs have spice-like features, they are not actual spices. This label goes for dried plant parts other than leaves. Given that peppers are berries, cloves are actually young flower buds, cardamom is classified as a fruit, and cinnamon is obtained from the bark of the cinnamon tree, this is absolutely true. Unlike herbs, vast number of all the spices grows naturally in various tropical and subtropical parts of the world. It is quite a challenge to grow these in ‘regular’ regions, especially because of the fact that some of them are obtained from mature trees. But, the comfort of your own home can easily favor you in growing ginger, turmeric and other spices. Commonly referred to as ginger root, ginger is actually the fleshy, underground rhizome of Zingiber officinale, a perennial herbaceous plant. It is native to South China, but it was later brought to other tropical areas like West Africa and India. Then, it was spread to Britain and the rest of the European countries. Ginger is a common ingredient in savory curries, confectionery and baked goods. Ginger is added to herbal teas for its flavor and healing power. Ginger rhizome develops plenty of branches, and it releases new shoots as it grows. New ginger plant can be grown from one- or two-inch pieces. But, the rhizome has to have at least one growing bud, or ‘eye,’ as some like to call it. Get a larger container and fill it with rich, well-draining potting soil. Place a few ginger rhizomes 6’’ apart on the very surface of the container. Cover them with sand. An inch of sand will do good. Press well. Set your container in a place that gets enough sun, or use grow lights. When it comes to watering, use water when the soil seems dry. Add general purpose fertilizer once in two weeks. Ginger is cultivated as a perennial plant when grown indoors. Dig in your container and take out as much of the ginger as you need. Ginger grows well outdoors in USDA zones 10 or above. All you need is a partially sunny location, and regular watering. Keep in mind that proper drainage is of essential importance. Ginger rhizomes that have been planted in early spring spread aerial stems during the entire summer, but their leaves will turn yellow in fall. Ginger rhizomes that grow in gardens are annual plants, because they do not bare frost well. Take out the entire plant, shake off any excess soil, and remove the aerial stems. It is up to you to decide whether you are going to dry, candy or pickle your ginger. Dried ginger is easy to make. Blanch your ginger rhizomes in boiling water. Remove their skin, and slice them properly. Allow the slices to dry well in shade. Transfer dried ginger slices in airtight jars. You can also grind them finely. You can add ginger powder in cookies and baked goods. Remember, ginger powder and honey make an effective remedy for cough. You can make candied ginger and pickled ginger using sugar syrup and vinegar respectively. Small amounts of these aid in controlling nausea and improve digestion. Turmeric is the yellow-colored relative of ginger. It gives rich yellow color and spicy flavor to curries and other dishes. The plant Curcuma longa is native to India, and it can be cultivated indoors pretty much the same way as ginger rhizomes. 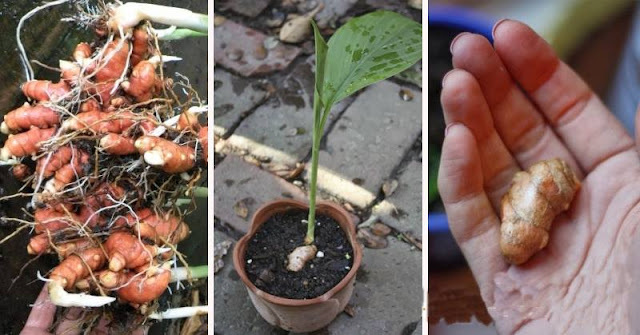 Turmeric has strong antimicrobial and anti-tumor potential, and that should be enough for you to use it in your cooking, so consider growing your own turmeric supplies. You may experience difficulties finding a good planting material, since turmeric is usually available in its dried form. But, try to find a few rhizomes, and have them multiplied every year. This will provide you an endless supply of this mighty spice. Fill your pot with well-draining potting mix, and stick turmeric rhizomes in. Make sure they are covered with an inch of soil, and water them well. Keep in mind that your plant needs plenty of sun, and its leaves have a healthy, green look. Turmeric grows well outdoors in USDA zones 9 and above. Let the rhizomes grow until they root well. Pay special attention to the drainage system. Take out your turmeric in fall, once you notice the leaves wilting. Boil your turmeric rhizomes for 35-45 minutes, and let them dry. This will boost their color and make them last for longer. Store your dried stems whole, or grind them into fine powder. Turmeric boosts the color of mustard and delicious, homemade sauces and healthy batters for deep frying. A pinch of turmeric can heal mouth ulcers in short time. Allium sativum grows well both indoors and outdoors. Just separate the cloves, and stick them in well-draining soil. Keep it moist all the time. Plant the bulbs indoors any time you want. Keep in mind that fall planting works better for outdoor beds. Make sure the soil is moist, but excessive watering will rot your bulbs. Use garlic leaves as herb, but you can snip them one in a while to get larger bulbs. Take out mature garlic bulbs in summer, once the leaves start to wilt. Dry the bulbs until the outer layer becomes paper-like. Braid the leaves together, and hung your garlic ‘braid’ in the pantry. In this way you will save on storage space. Pickle skinned garlic cloves in vinegar. You can also slice them thinly and let them dry in the sun. Grind them finely, and you have your own healthy version of garlic powder. Cuminum cyminum is native to the Mediterranean. It is probably one of the most popular spices in the world. It grows well outdoors in USDA Zones 5-10. Cumin is usually grown outdoors, unless you have no space in your garden. Plant the seeds in large pot, and keep them indoors, or sow them in your garden, preferably in a sunny location. The soil should be moist all the time, and keep an eye on the drainage. It would take 4-5 months from the sprouting point to the harvesting, but both heat and drought have the ability to shorten the growth phase. Once the tiny flowers transform into clusters of small elongated fruits, make sure you harvest them before they get to fall off. Put the flower heads in paper bags until all the fruits fall off. Let them dry in the sun. Winnowing is a nice way to clean them. Use dried cumin whole in your tempering mixtures or ground it into fine powder. Roast the spice before grinding it to enhance its flavor. Both types work well in curries.